The Institute for Bulgarian Language and members of the Department of Computational Linguistics took part in the project “CEF Automated Translation for the EU Council Presidency” funded by the Connecting Europe Facility of the EU Commission, the Telecommunications Programme, 2016-EU-IA-0121 I. The system Translator for the EU Council Presidency is a tool for machine translation specifically aimed at facilitating the Bulgarian Presidency of the EU Council in 2018. The system Translator can be used in online applications for machine translation, available for various browsers and mobile apps, as well as desktop applications for computer-aided translation using the Translator add-on for SDL Trados Studio. The Translator implements the machine translation platform of the EU eTranslation. 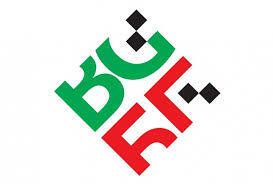 The system Translator is accessible on the web page of the Bulgarian Presidency of the EU Council.